The rural sister to the Maltese mainland, Gozo is renowned for picturesque rolling hillsides and outstanding natural beauty. The island’s greenery gives Gozo a strikingly different feel to the sandstone imagery so closely associated with the islands, its rurality providing a welcome change of pace to the densely populated towns and cities of the mainland. Despite the reputation of the island as a countryside haven, Gozo still has many unique attractions that are worth visiting, with many tours of the island available for the millions of people that visit Malta a year. If exploration is high on your agenda for your trip to Malta then a Gozitan adventure has to be on the tick list – here are our recommendations for the top things to do and best places to visit on Gozo! the Citadel is one of Gozo's most famous attractions - if you're a history buff then it might be argued that travelling to Gozo is worth it for this site alone. A world heritage site, the Citadel is a majestic fort in Victoria that has played a central role in the island’s history for many centuries. The Citadel combines a historic medieval castle that provided refuge to the Gozitan citizens against Ottoman attacks during the 16th century on its northern sides and a 17th Century reconstruction to the south. Built by the Order of Aragon, the Citadel offers you the opportunity to step back to times gone by and absorb a rich plethora of architectural hot spots including the fine baroque Gozo cathedral, designed by renowned Maltese architect Lorenzo Gafa, the beautiful cathedral square and a number of meandering streets full of historic homes that have fallen into disrepair that contain numerous hidden gems. At the top of the Citadel, you’ll be greeted by breath-taking panoramic views that take in the surrounding Gotizan towns and villages, rolling countryside and the shimmering Mediterranean Sea. Check out this must watch clip showing exactly what the Citadel has to offer! Sat on the west coast of Gozo, Dwejra Bay is a spot that offers sparkling blue waters that are perfect for diving or snorkelling and surrounded by extensive natural beauty. 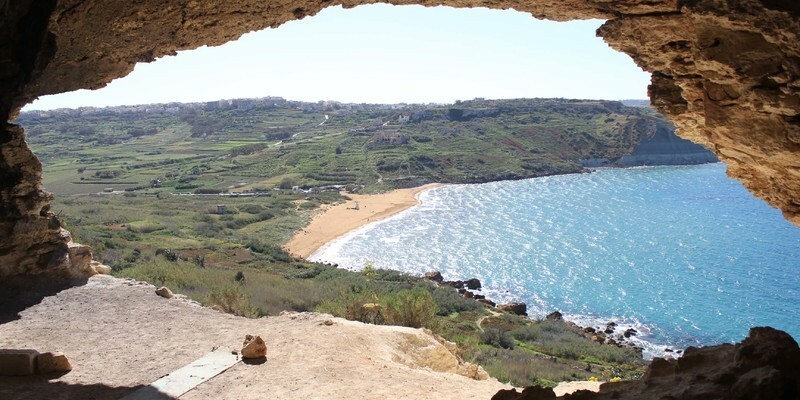 Though it is a protected heritage site, there is still plenty of scope for exploring – with traditional Maltese Luzzu boats offering you the chance to check out a beautiful tunnel that has been carved into the cliffs by the wind and tides. The site is of both archaeological and geological interest and boasts some truly interesting flora and fauna that encourages thousands of people to visit annually. Indeed, Dwejra’s ‘fungus rock’ was once believed to be the home to a plant that held special healing qualities and was therefore a protected site by the Order of St. John. The watchtower is still there to this day, a beautiful yet isolated man-made feature stood amidst the rugged Gotizan coastline. The towering, bold cliff faces also provide you with a beautiful backdrop during sunsets, meaning it is definitely worth checking out. This is location unquestionably one of the best places to go on Gozo if you want to check out some of Malta's great natural history or just want to chill out by the beautiful blue waters! Just ten minutes drive from Dwejra Bay, the church is easily accessible and therefore one of the islands most notable points of interest. The exact origins of Basilica of the National Shrine of the Blessed Virgin of Ta' Pinu - commonly referred to as simply 'Ta' Pina' - are unknown, however, records of its existence stretch back as far as 1534. The process of creating the current Romanesque design of the building was undertaken relatively recently in 1920 and completed in 1932 in order for the church to accommodate pilgrims to this site of religious importance. With pristine white walls and arches filled with intricate designs, artworks, murals and Madonnas, the interior is arguably even more stunning than the external visuals. Admission is free and the church is open to all. If you would like to learn more then you can visit their website here. Check out this stunning aerial footage of the church! No list of the best places to visit on Gozo would be complete without paying homage to the beautiful St George’s Basilica! Built in 1978, St George’s Basilica is one of the finest examples of Baroque architecture available on Gozo. Commissioned by Grandmaster Alof de Wignacourt of the Order of St John, the Maltese architect Vittorio Cassar was commissioned to design the building – though it took a further three quarters of a century to see its completion. Adorned with a golden trim, a towering alter, elaborate frescoes and beautiful black and white chequered floor, St George’s Basilica is one of the most unique churches to be found across the whole Maltese isles. Situated in the heart of Gozo in the town of Victoria, the church holds regular services so be sure to check the liturgical schedule if you’re only seeking to explore the church’s architectural wonder. However, don’t let this put you off – the church is accustomed to visitors and is welcoming to people seeking to experience their beautiful monument to Christian worship. Xlendi Bay is a small-but-popular beach located on the south west of the Gotizan island that offers stunning white gold sands and shallow cyan waters. The bay also has an unusual stairs feature that enables you to meander up to the cliff tops, providing a smart vantage point to take in the areas picturesque views. Though a quaint beach, the bay’s natural reef formations also mean that the bay offers you the perfect opportunity to indulge in diving or snorkelling activities and give you the chance to explore the island’s beautiful marine life. The small fishing village built around the bay, ix-Xlendi, also offers a great variety of bars and restaurants for you to choose from, including the very popular Boat House and Cima restaurants that offer an array of Maltese and Mediterranean foods for you to choose from. With coastal fresh air, pristine white sands and the chance to take in a beautiful sunset, Xlendi Bay might just be the perfect way to end an action-packed day on Gozo. This stunning scuba-diving footage of the reef is a must watch! We hope you've enjoyed our guide to the best places to visit on Gozo. If you're looking for more places to explore on the beautiful Maltese island's then check out Valletta's must-see attractions!